With little warning Square Enix has just released the very long awaited reissue of Final Fantasy VII PC. 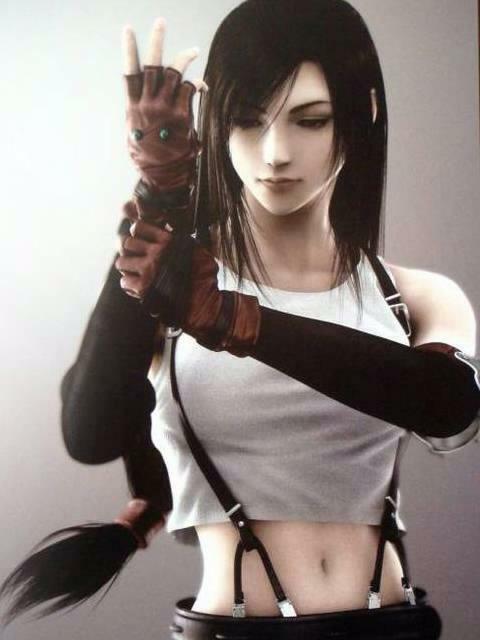 Although this isn’t the HD remake with the Tifa trampoline mini game fans have been asking for over the last few years it is a major step towards us getting one. The reissue of FFVII PC is basically a way for fans of the original to play the game in full on a modern PC. Over the last few years since the games drivers and and software have changed its made games like FFVII very hard to play or even install on a modern PC. This compatibility issue has caused hundreds of fans to create custom patches and hacks to keep the game going over the years but this reissue means we wont need to spend hours trying to get this epic game to work. Along with compatibility this version also has a few built in new features including Achievements and “Cloud” hosting so you can take your save game anywhere as long as you have an internet connection and if you get stuck in a cave without any health you can even buy potions online. On top of all this the game also has 20% off until September and at the price it is at the moment I can’t imagine many fans arguing with a game which will keep me even more entertained than Batman Arkham Asylum and City together. With the game released a few hours ago I’ve already started playing and cant wait till the weekend to clock up some serious game play. The graphics for a game which is about 15 years old don’t look too shabby either. The graphics and sound may have been remastered a little to be a bit sharper on a modern screen but it’s as close to the original you can get. The only down side is that the game looks like it is being run in an emulator, when it was first released TV screen were different dimensions before we got wide screen and you get those black bars down the side. Some of the cut scenes also could have done with some remastering as parts of the game do look a bit more pix-elated than I remember. It’s also worth mentioning that recently at a Square Enix board meeting the topic of releasing a truly remastered modern version of FFVII was brought up and the news is good. Previously we were told they couldn’t make another Final Fantasy game like it due to the size of the map and towns as it would take years. Now the board say they could do a remake but only when another Final Fantasy title can out sell and out class VII which will be hard but not impossible. Overall I’ve been playing for twenty minutes and already know it will take up most of my spare time over the next year or so. I’m looking forward to seeing if Square will use the release to its full potential. Being a partly online game now we could see new missions, materia, items, summons and extra scenes added to the game. The original game would run on 32mb of ram, this one requires 1000mb, there must be something more than just a reissue here. To download a copy it’s available online only at the Square Enix Store.